Many taxpayers have been calling us recently because they have received a “Declaration of Consent” or similarly titled letter from their Swiss bank. Folks want to know whether or not they should consent and if not, what will happen. Great questions and unfortunately, the time to act can’t be delayed. Failure to sign a consent letter is itself an action, a very serious one. To best understand why Swiss banks are sending these letters, some background is necessary. 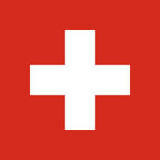 In February 2013, Swizterland and the United States signed an agreement to implement FATCA, the Foreign Account Tax Compliance Act. Dozens of countries have signed such agreements but the IRS’ deal with Switzerland is a bit different. Because of the deep seated tradition of bank secrecy, Switzerland insisted that their banks seek consent of their customers before turning over information. The agreement says that the banks must request from each customer a consent to report and simultaneously inform the customer through a letter of the Swiss Federal Tax Administrator (FTA) if such consent is not given. The next question, then, is must you sign the letter? The answer is “no.” The better question is should you refuse? The consequences for refusal are serious. First, the bank will close your account. Period. The bank will notify the IRS that you have refused. They wont identify you by name but the IRS is entitled to ask for that information from the Swiss tax authority. We don’t know how the Swiss will handle these requests but we expect that Washington will get the information. Assuming they get the account information, expect an audit and possible criminal complaint. Why? Because your name is on a list of recalitrant, non-consenting taxpayers! The mere refusal to consent to disclosure will be viewed by the IRS as willful conduct and possibly an affirmative act of tax evasion. Is there any hope of avoiding disclosure? Possibly but only if you can convince the bank that your account is not reportable. For most Americans and most accounts, that is not a real possibility. The bottom line is don’t simply refuse to sign without first obtaining good legal advice. The civil penalties for failing to file an FBAR is often 50% of the highest account balance and can be assessed for more than one year. If your name is on the list of people who refused to sign a declaration of consent, you may also be charged with the crime of failing to file an FBAR, a felony punishable by 5 years in prison. Need more information? Give one of our FBAR lawyers a call. Our initial consultations are free and always confidential.